Oslo, Norway, 28 March 2019 – Nevion, award-winning provider of virtualized media production solutions, will be dedicating its booth (SU5510) at NAB2019 to telling the story of its technologies and services through real life case studies and demonstrations that are based on actual solutions it has delivered for its customers. As the move to IP gathers pace, Nevion believes that its existing and potential customers are now much more interested in how solutions can address the issues they are faced with or obtain the benefits they are seeking. As a result, at NAB, Nevion thinks that the best way to explain this is to share real-life examples of the work it has done for customers – in other words, to tell their stories. Having delivered its first IP contribution solution in 2006 and acting as a pioneer in bringing IP to facilities since 2015, Nevion has long been at the forefront of defining standards and delivering successful transformative media networks. At NAB, Nevion will be sharing case studies which illustrate a number of its solutions, including broadcast IP in the facilities infrastructure, broadcast contribution, remote production (REMI), terrestrial distribution, movie post production and government solutions. Visitors to NAB will be able to view these solutions and the illustrative case studies from any of the demo pods on Nevion’s booth. 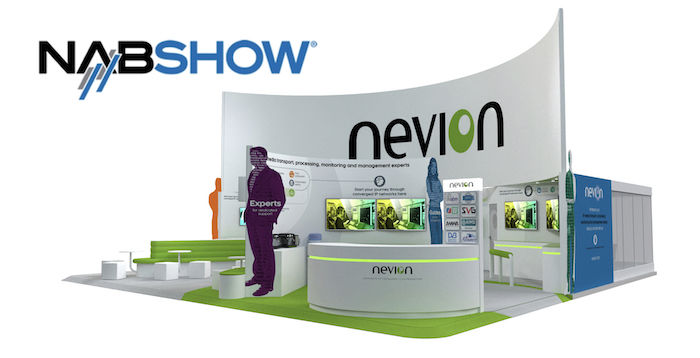 All the demonstrations will feature Nevion’s flagship products, Nevion Virtuoso and Nevion VideoIPath. Nevion will be showcasing its carrier class Nevion Virtuoso MI, designed to complement the original Virtuoso FA Media Server for broadcasters. It is architected for carrier applications, such as tier-1/2 managed video services, where processing density and hardware redundancy are particularly critical. Nevion’s VideoIPath has been widely deployed in some of the biggest media networks in the world. At NAB 2019, Nevion will be demonstrating new features added to VideoIPath including enhanced switch vendor support, NMOS, third party equipment support and monitoring. In addition, Nevion’s Chief Technologist, Andy Rayner, will be presenting at the IP showcase (Central Hall, Booth #C12634). Andy will be discussing three issues: a case study showing how IP-based production revolutionizing workflows; audio handling in an IP studio environment and transporting SMPTE ST 2110 over the WAN. Visit Nevion at booth SU5510 at NAB, 6 – 11 April 2019, Las Vegas, Nevada.